They say that black girls can’t fly. I write this as I watch you dance in the clouds underneath a starry sky. Anything is possible! EVERYONE can fly. You just have to spread your wings and jump into the mist of possibilities and off you go to catch all of your dreams. I say all because you’re allowed to catch more than one. Now JUMP! Don’t worry about falling, daddy’s gotcha. Jump, my adventurous black girl! You have dreams to catch. Wait, don’t forget your cape…. 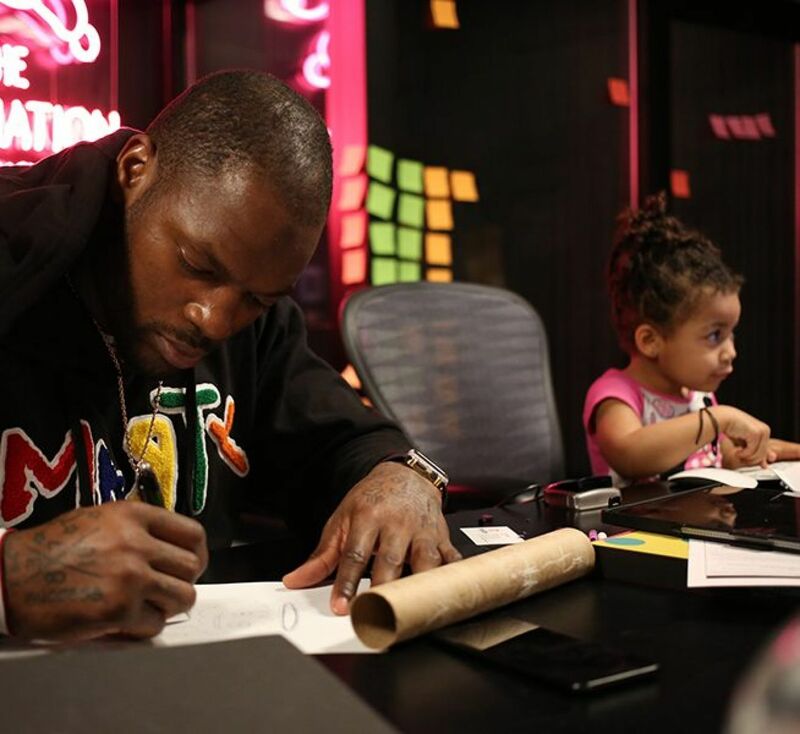 Martellus Bennett is a proud father and member of the Super Bowl LI Champion New England Patriots.